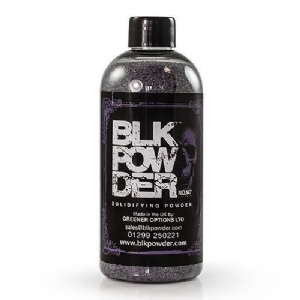 Black Powder is designed to make the day-to-day task of keeping your tattoo station more hygienic by eliminating your wet waste. Just simply pour Blk Powder into your rinse cup and your ink caps at the end of the procedure to solidify your wet waste. Once solid your cups and caps can be disposed of in the same way as your used paper towels and other solid waste.